In 1834, 14-year-old Afong Moy was brought to New York City by traders, who displayed her in a museum. She was the first Chinese woman to set foot in the United States. 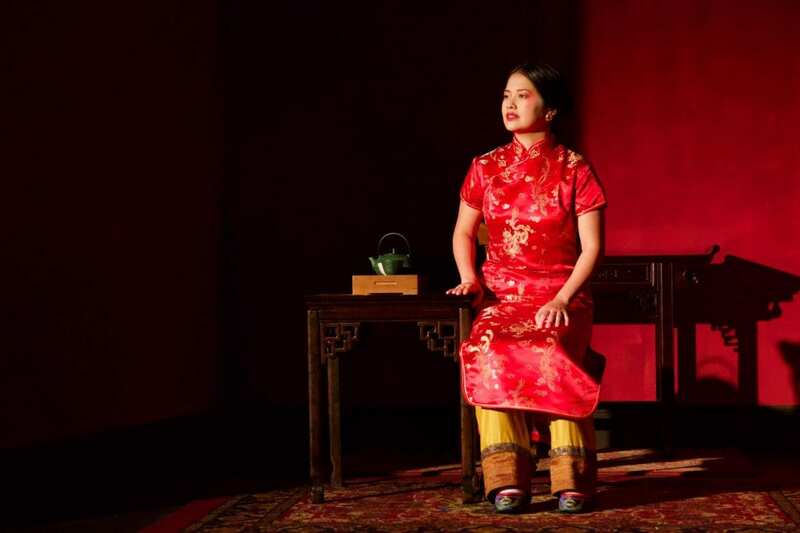 Moy’s little-known story is told in playwright Lloyd Suh‘s new play “The Chinese Lady,” which debuted at the Barrington Stage Company (@BarringtonStage) in Pittsfield, Massachusetts. Suh and actor Shannon Tyo, who plays Moy, speak with Here & Now’s Robin Young about the show, a co-production with New York’s Ma-Yi Theater Company. It will run at Barrington through Aug. 11 and open at Ma-Yi in the fall. ST: “Foot binding is a really extreme example I think of cultural relativism. I’ve watched a lot of interviews with women who are alive right now who do have bound feet, and there’s a lot of discussion about how it’s very painful. Obviously, it alters the way that you walk for the rest of your life. But a lot of women are very proud of it, because it is seen as a sign of social status, and the very interesting point that Afong makes in the play is equating it to practices in America that were seen potentially by outsiders as barbaric, such as corsets, and the very extreme example she makes is the trans-Atlantic slave trade. Tyo: “It’s heartbreaking. It was one of the things that I first connected with upon reading it, because it is such a generous act, to take the blame upon herself. And [it] just speaks to the tremendous responsibility that she felt when she first came over as a 14-year-old child, that she was going to come to America and be an ambassador.